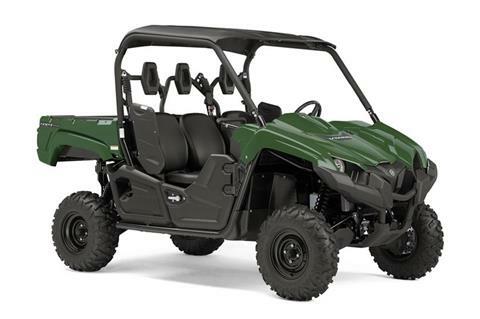 With true three-person seating, the Viking is an insatiable workhorse that never says quit, and sets the standard in comfort and convenience with a smooth, comfortable ride. EXCELLENT GROUND CLEARANCE: A maximum 11.8-inch ground clearance delivers underbelly protection while enhancing terrainability. The Viking’s width also helps minimize 30 inch row crop damage. TORQUEY 700-CLASS ENGINE: The Viking is equipped with Yamaha’s powerful 686 cc engine with a broad, usable powerband. Liquid-cooling provides consistent performance, a four-valve head with 10.0:1 compression delivers optimum torque for virtually any workload, and up to a 30% gain in fuel efficiency compared to comparable two-valve designs. UNDERBODY PROTECTION: Steel skid plate under the frame provides protection from rocks and ruts and helps prevent the Viking from getting stuck. CABIN STORAGE: A latching glove box is included to store smaller items such as cell phones, wallets, etc. The Viking is also equipped with four in-dash cup holders for passenger comfort. TORQUEY 700-CLASS ENGINE: The Viking is ready to conquer whatever comes its way with a powerful 686 cc, liquid-cooled, fuel injected, SOHC power plant. This engine produces strong low-end acceleration and pulls hard through the rpm range to deliver excellent power for getting the job done or when hitting the trails. HIGH VOLUME INTAKE: The Viking features a large-capacity air intake system that improves overall engine performance. The air cleaner box is easily accessible from inside the cabin for improved serviceability. COMFORTABLE THREE SEAT CABIN: This true 3-passenger machine achieves driver and passenger comfort with a handhold, padded head rests, and 3-point seat belts for all riders. 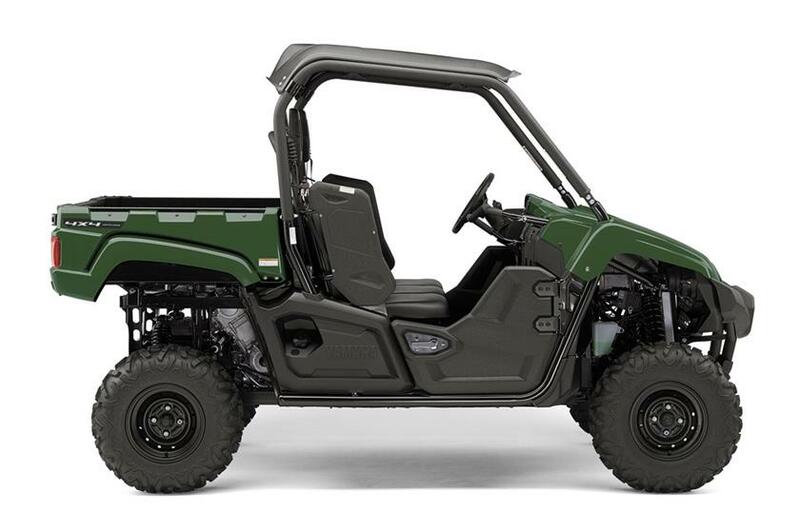 Extensive noise and vibration reduction measures provide a smooth and quiet ride. The superior seating position, adjustable driver’s seat, and an offset middle seat all provide unmatched comfort that riders will appreciate.